You know, there are advantage to owning your own screen printing business. One example is that you can make your own costume. 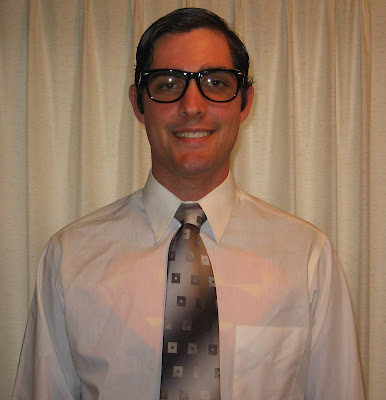 So, this year I decided to be mild mannered Clark Kent. I think the coolest part about this costume is its subtlety. On a couple of occasions people really had to do a double take - even Lois had to do a double take when she saw me. 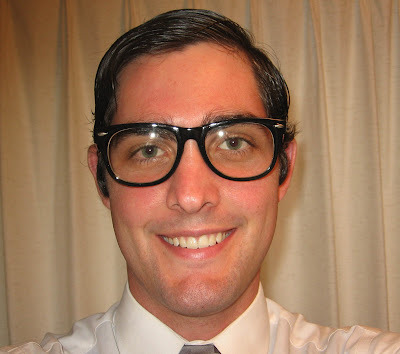 Plus, everyone at the Daily Planet really got a kick out of it. WHAT AN AMAZING COSTUME! Wow! Seriously, terrific job. You really can pull that off!